It took me forever to find the right image for this story. It’s by the London artist, Frederick Walker (1840-1875) who Millais apparently referred to as, “the greatest artist of the century”. As terrible as it is to play favorites with one’s children, I have to say, this story’s right up there. The Dollmaker’s Daughter comes out September 7th. My little tale is now out. Here’s the link to it on Amazon. By the way, it’s free on Amazon Sept 11th and 12th only. The ebook-making gods are apparently smiling on me. Unlike the images for my first two fairy tale covers, the latest one has taken me an extraordinary amount of time to find. For The Seven Sisters, there was only one image – right from the beginning. For The Boy Smith, ten pretty good options. But for this latest one, when I reached 31 potential images and was still unsatisfied and, needless to say, frustrated, I knew I needed a different research tack. As soon as I took that different direction, BAM! I had my cover. Part of the trouble is that of the three tales, this one is by far the most personal. And though the subject (the absent parent) is quite universal, my characters have not been the subjects of many classical European paintings. The tale is back from my editor, Marg. And as you can see, I’ve started on the layout. I’m both leery and excited to get this story out into the world – it means so much to me. Want an escalator into my twisted brain? 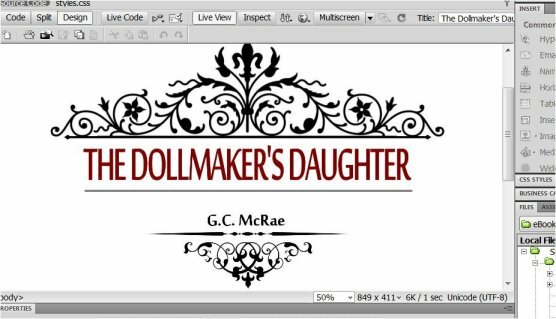 Wait for September 7th, when The Dollmaker’s Daughter is released. If you’re looking for something quick to read this weekend, I’m doing a promo for my second fairy tale novelette. The book is usually $.99, but today and tomorrow only, it’s 100% free. So if you’re looking for a bedtime story for your kids or a quick read for yourself, here’s a father and son story that’ll send you off to sleep with a smile. And if you’d be so kind, I’d sure appreciate a few words of review. All three e-book versions of my picture books are now done and out in the world. So if you enjoyed the print books, you’ll love these. I made sure the images were all huge – so they’d fill the hi-resolution screen of a laptop, iPad or Kindle Fire HDX. What’s cool is that the reading apps scale so beautifully – so the books still looks great on a black and white device or small on an iPhone. The text size, of course, can be adjusted independent of the images. 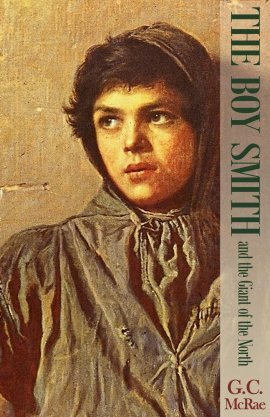 Well, I am happy to report that The Boy Smith and the Giant of the North is now out in the world. It’s one matter to produce one thing, a first thing, on time. You have your entire life to work up to it. But to get that second thing done, now there’s a challenge. I’m now working on another giant story. This one is quite different from the one in The Boy Smith, though it is set in a similar mediæval world. I’ll keep you posted on that one. I will say that I have a ridiculously great cover for it already – this time from a contemporary artist. Here’s the Amazon link to The Boy Smith. When I was kid, I never had dreams of being chased by monsters or falling off cliffs. I just wasn’t afraid of any of that. What I was afraid of was having to do the impossible. That scared me sleepless for many a long, lonely night. 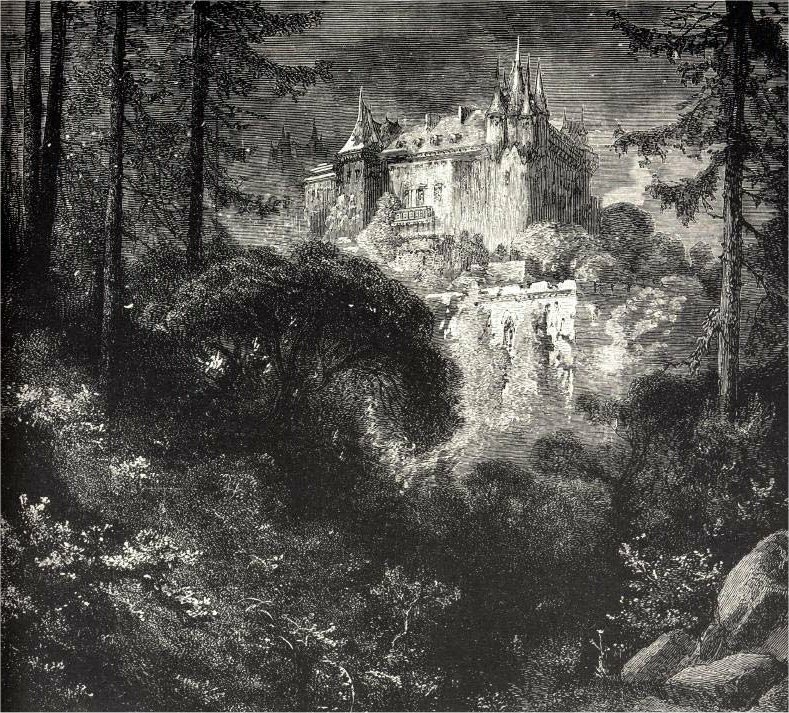 And that was the inspiration for my second fairy tale, The Boy Smith and the Giant of the North. It’s nearly twice as long as The Seven Sisters, so I guess it qualifies as a novelette. It comes out on Amazon next week, August 7th. And I hope you take the opportunity to check it out and give it an honest review. It’s a story that is seriously dear to my heart – and yes, still gives me the willies every time I read it. I finished The Dollmaker’s Daughter this morning and sent it off to Marg, my wonderful editor. I couldn’t be happier – even if I won the lottery or a trip around the world. The first draft of this tale was written 21 years ago and I thought then, it was finished – at least finished enough that it was worth trying to publish. I sent it off to a couple of places, and now, I am quite comfortable with their rejections. It wasn’t good enough. Over the next couple of decades, I tried various things. I must have scribbled 100,000 words and spent many hundreds of hours over it. It wasn’t until 2012 that I finally found an angle that would make it, not just good, but great. Yeah, yeah, it’s tough for a writer to talk about his own work in glowing terms without sounding like an egoist or a self-promoting putz. I love this story. It’s the first of these three that is far more heart than head. And I tried my best to be fearless in writing it, trying to keep it true and heart-wrenching, and avoid anything sappy. And this morning, when Nora, my darling hard-assed-editor wife, came out of my office red-eyed and plainly choked up after reading it, well, I knew I had succeeded. It’ll be out in about five weeks, so stay tuned. My fairy tales are progressing, slow but sure. (It’s never fast enough for me.) I did a little minor update of The Seven Sisters today. I didn’t change any of the text. But I sharpened up the images and fixed their proportions, so the book is looking much nicer. With all I learned, I started formatting The Boy Smith. I’d been tinkering for a while and today did all the layout and finally got an ISBN for it. The cover is done, so stay tuned for the reveal. It’s pretty much set now: the third fairy tale will be The Dollmaker’s Daughter. I was hoping to delay its publication till winter, as a bunch of it takes place near Christmas. But I’m pretty excited about showing it to the world. It’s definitely in my top three favorites. Right now, I’m giving it a last go-over before I send it off to my editor. It’ll be out September 7th, 2014. The first free days are July 10 and 11th, 2014. That’s this Thursday and Friday. By the way, you don’t need a Kindle to read it. Amazon will give you a spanky phone or computer app for the big price of zero. I have the PC one and it works great. I’m proud to finally present the cover for my first fairy tale. The image is by the extraordinary Elisabeth-Louise Vigée-Lebrun (1755-1842). It’s a short story, a super-traditional fairy tale, perfect for some happy bedtime reading-out-loud. I’ve been reading it to kids, grades 4 and up, in schools over the past year. It came as a bit of a shock to have boys come up to me all wide-eyed, saying how much they loved it. It comes out July 7th on Amazon.